The island group that is Guadeloupe was initially discovered by Columbus, and it was from Guadeloupe that Columbus brought back the first Pineapple from the America's to Europe. The French then went on to colonise the island, and held the island, apart from brief moments when the British captured it. Firstly, during the wars with France in the 1750's, when Britain gave the island back in return for France ceding all its territories in Canada, and relinquishing all its claims to Canadian territories. The second came during the French revolution, when the revolutionary government of France commanded that the island freed its slaves. Rather than allowing its slaves to be freed, the islands masters turned to the British. However, the British held the island for only a couple of years until they where forced to leave. After which the slaves where released, and they turned on their masters. In order to maintain control, Napoleon ordered slavery to be reintroduced on the island in 1802. A third time occurred in 1810, when the British again seized the island, and held it until they handed it over to Sweden, who held the island for a year and a half, until the Treaty of Paris saw the islands returned to France. 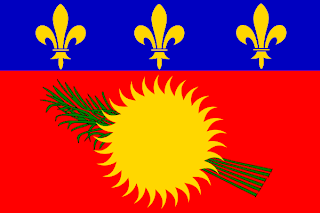 Guadeloupe remained as a colony of France until 1946, when it became an overseas department. 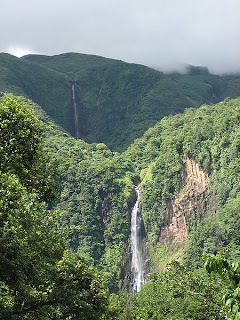 The islands natural beauty helps drive its tourism industry, one of its biggest source of revenue. Though this has been hit in recent years, with natural disasters such as hurricanes, as well as a local strike by workers demanding help with raising their incomes. The official flag in use on the island is the French tricolore. However, the island does use its own official flag, which consists of a white banner, with an emblem placed in the centre. The logo is made up of a top in blue, representing the sky, the bottom half in green, representing the land. Dividing the square is a black, simplified bird shape, giving the green a hill-like outline, as well as representing the wildlife. Rising over the bird is a rising sun. Under the emblem is written "Region Guadeloupe." The island also features a small independence movement, led by the Communist Party. This independence movement has suggested a new flag for the island. Bearing a strong semblance to the flag of Surinam, it is a red banner topped and tailed by white and green stripes. 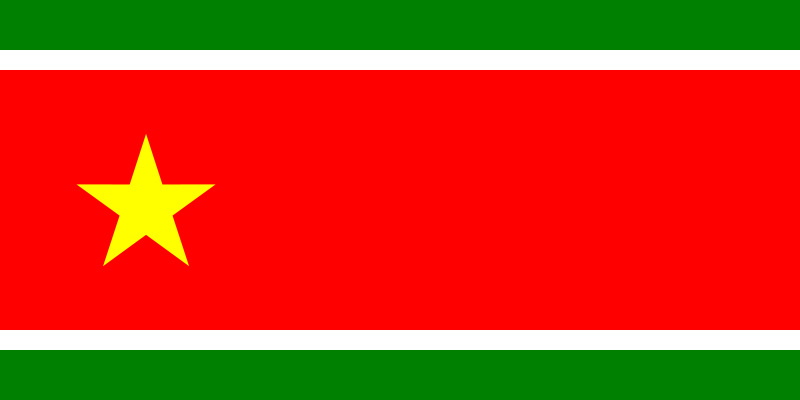 Like the flag of Surinam. Placed in the centre of the red stripe, towards the hoist of the flag, it features a gold star. 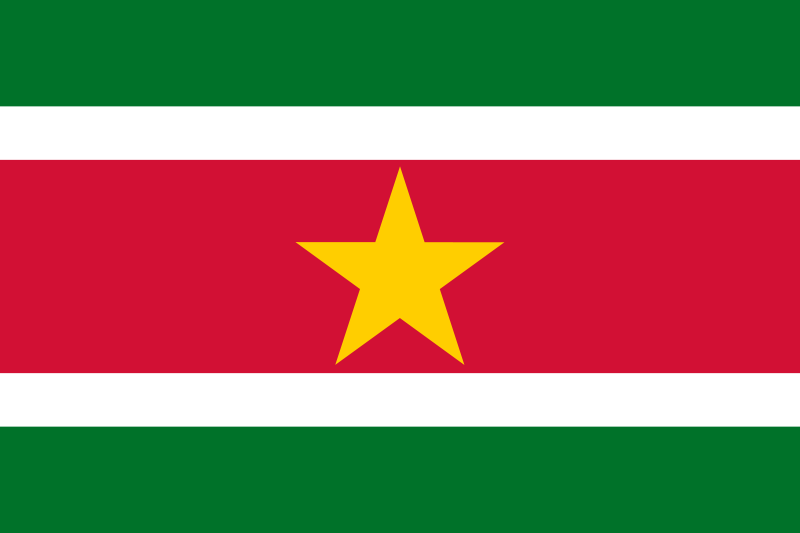 The Surinamese flag also features a star, but placed dead-centre. The island also features an unofficial flag derived from a coat of arms created to help promote the island. 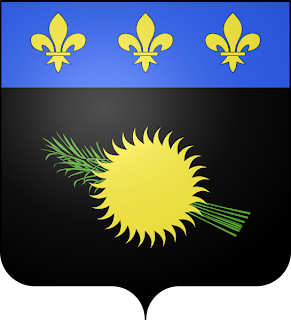 The coat of arms is black, with a green sugar cane plant overlaid with a golden sun. A blue bar is placed over the top of the coat of arms, and features three French fleur de Lys. The island has also turned this into a flag, whilst has no official status, it is in use. It is used to help promote the island, and its individuality. Taking the coat of arms, and turning it into a banner form. A second version takes the same banner, and replaces the black, with red.